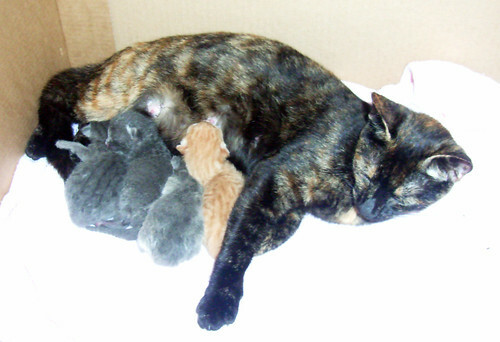 Our cat Trudi (still a kitten herself really) has just had her kittens. 4 born on Wednesday. Mother and babies all doing well!